Platy and Mantid discuss the ECQ Top 8 results at length, the suspension of drop campaigns, speculate about Set 6 -- Dark Frontier, and sprinkle in a little bit of wrestle talk as well. Platy discusses some alcohol abuse issues he's been dealing with in the real world and shares a song he wrote about it before joining the Mantid Man to talk about all things Homecoming and Wrestlemania! 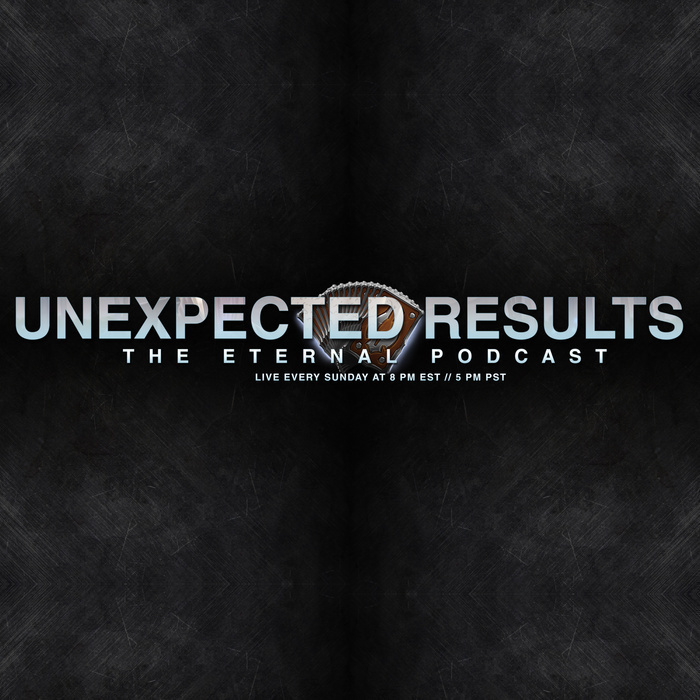 We discuss the results of the ETS Community Championships, some last minute spoilers, the upcoming campaign that releases this week, and more! Platy tells a story about a stupid "prank" he pulled in high school and advises folx to not do stuff like that and then joins Mantid to discuss the ECQ Homecoming Top 8 and to discuss the 4 Spoilers that we've had so far from the upcoming Homecoming Campaign. Discussed: Platy's adventure for Doc Martens, Invational Results, ECQ Predictions, Campaign Predictions, and some WWE Fastlane PPV talk. Platy tells us about being snowed in with no electricity or internet and plays us a song he wrote called Exiled before joining up with Mantid to discuss ETS 2019 S1W8 results, Heroes Rise event, speculate on the invitational, ECQ, next Campaign, and all sorts of other stuff. Jam packed 2 hour long extravaganze! Platy discusses mental health a tad bit more, introduces a new format for the show and a new stream schedule, ETS 2019 S1W6 results, the upcoming Heroes Event, and just a tad of WWE's Elimination Chamber! Platy has been having some mental health issues lately and catches up on the latest happenings with Eternal. We discuss the happenings and results across the land of Myria and the 2019 WWE Royal Rumble. Mantid Man and Platy briefly recap some of the balance changes, go over S1W3 Results of the ETS, and make some predictions for the funnest WWE PPV of the year -- Royal Rumble!